At the Circular Economy Club (CEC) we believe it is crucial to connect senior experts on the circular economy with those trying to disrupt the world with their circular projects. 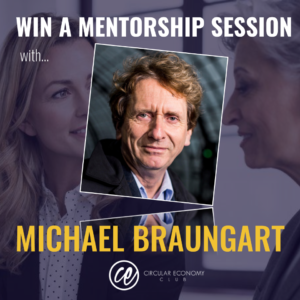 Parallel to the on-going CEC Mentors program, the club is running a series of Mentorship opportunities with the world's leading circular economy thinkers who join the program as Guest Mentors. In August 2018, CEC offered the opportunity for a promising talent to receive 1-on-1 mentoring from Prof. Walter R. Stahel, one of the fathers of the circular economy. The competition was targeted to reach circular economy researchers and entrepreneurs with specific questions to pose to Prof. Stahel. The winner of the competition was announced on all CEC channels on August the 22nd. 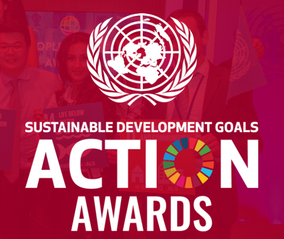 The winner was Seigo Robinson, Director of Social Circular Economy. CEC teamed up with Prof. Walter R. Stahel in a #CECMentors opportunity. If you get to be the winner of the next exclusive opportunity, a CEC Guest Mentor will be able to point you in the right direction, helping you to tackle specific circular-related challenges in a 40 minute-long video-conference mentoring session. Prof. Walter is a full member of the Club of Rome. 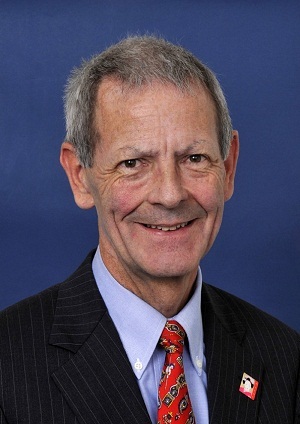 Credited with having coined the expression “Cradle to Cradle” in the late 1970s, Stahel worked at developing a “closed loop” approach to production processes and created The Product Life Institute in Geneva in 1983. His work pursues four main goals: product-life extension, long-life goods, reconditioning activities, and waste prevention. In the 1990s, Stahel extended this vision to selling goods as services as the most efficient strategy of the circular economy. He described this approach in his 2006 book The Performance Economy, with a second enlarged edition in 2010 which contains 300 examples and case studies. Applications to Enter the #CECMentors opportunity to win a mentoring session with Prof. Walter R. Stahel closed on August 17th, 2018. 2013 - Doctor honoriscause by the University of Surrey, Guildford, UK. 2013 - Full Member of the Club of Rome. 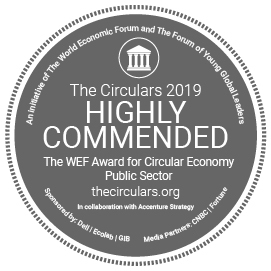 2014 - Finalist of the Fortune Awards for Circular Economy Leadership 2015, in the context of the WEF 2015 Davos. 2016 - Doctorat honoris causa by the Université de Montréal, Canada. 1982 - Received the Mitchell-Prize award for his paper 'The Product Life Factor', in Houston, TX, USA. 1978 - Received the 1st prize in the German Future's Society competition for his paper on “Unemployment, Occupation and Profession”, together with Peter Perutz, in Berlin. Watch the ThinkDIF video below to listen to Prof. Stahel talk about the circular economy. Stahel regularly lectures at universities and conferences in Europe, Asia, the USA, Canada and Australia on subjects ranging from the insurability of risks as the borderline between State and the economy, risk management and loss prevention to eco-design, waste prevention and strategies for a more sustainable development. He was Manager of the IFG Forum 1992/93 and its award programme (International Design Forum Ulm – the successor of the IHG Ulm) on the theme of ‘Common utilization versus singular consumption’. A consultant on the policies and strategies of a sustainable development to the European Commission in Brussels, he participated at its 'Futures 2010' project (on the panels ‘natural resources and the environment’, ‘European technology map’, ‘financing the societal bills’), as well as on ETAN and STRATA projects on research policy, risk management and global climate change, and on the issue of sustainable and competitive production. He was an associate member of ESTO, the European Science and Technology Observatory and acted as expert for the European Parliament in Strasbourg and the European Economic and Social Committee in Brussels.